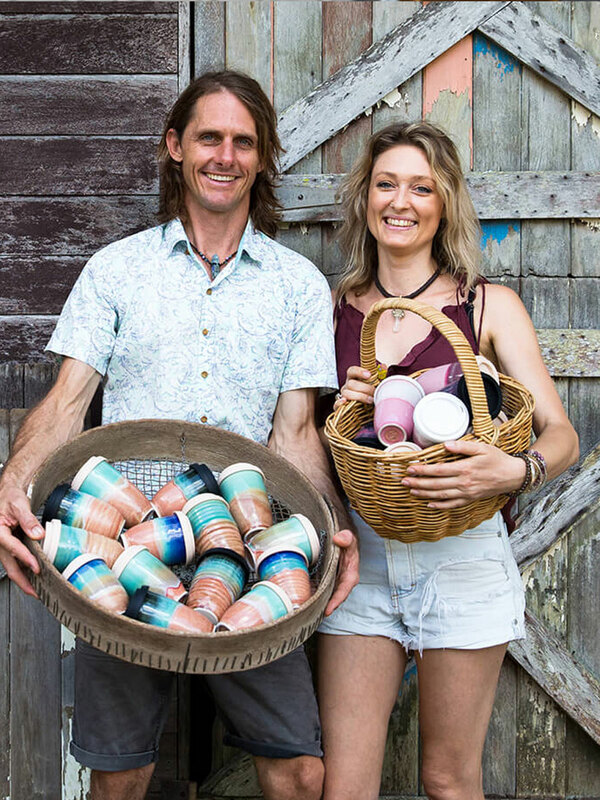 Sunshine Coast farmer Roly Lennox knows the secret to a happy life, and he's happy to share it with salt readers. Honest work, fresh food, good friendships and a simple life on the land. These are the things Roly Lennox values. He comes from a time and place that seem so far removed from the frantic lives most of us lead – just chatting to him is a little dose of respite from the rat race. You won’t catch Roly using a mobile phone, computer or calculator – he has no use for them. He doesn’t watch much TV and if he reads, it’s either The Bible or Christian literature from the letterbox. He rarely goes to the doctor and, at 87, is in excellent health. You could put his longevity and good health down to good diet. He and his brother Des, 88, live on the same family farm in Ringtail Creek they grew up on, milking cows by hand from the age of four. They eat home-grown fruit and vegetables, stir honey from their own bees into their tea each day, eat only a small amount of meat and steer clear of junk food. Perhaps it’s his mindset. Unlike many of us, he refuses to worry about two of life’s greatest stressors: time and money. 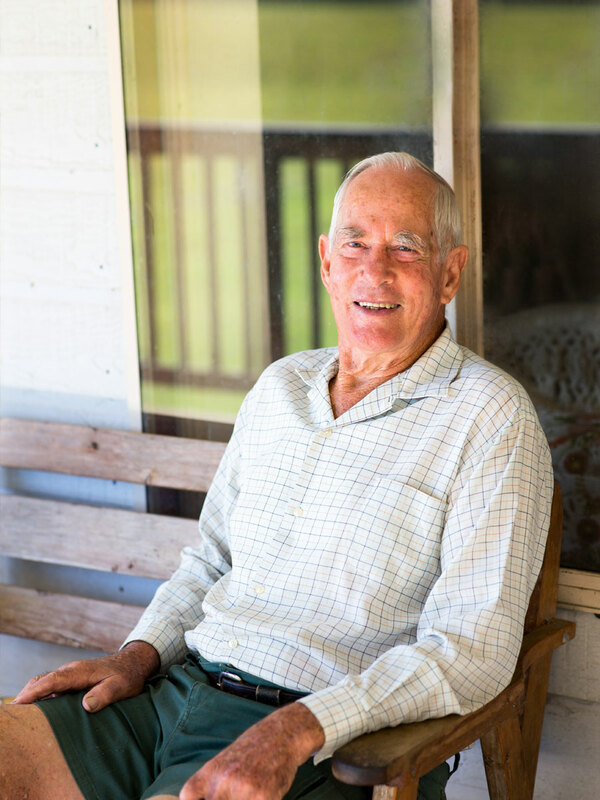 Or it could be the friendships he has nurtured over 70 years of home delivering fresh produce to his 150 clients in Tewantin and Noosa, a business he began in the 1940s and only stopped in February, having never had a sick day. Ask him how long it took to reach Brisbane back in the old days and he can’t remember – time wasn’t important. But he does remember rising at 3am without an alarm, and delivering fruit and veg to 150 clients every fortnight without a single address written down. During those years, when he delivered food to three generations of some families, always stopping for a chat, they came to consider him family. The world has changed around Roly over the past seven decades and as supermarkets rolled into town, the need for his services decreased. “It was good financially at first, but the last few years I wasn’t making much out of it, since all the big shops came to Tewantin and Noosaville. I just liked going around talking to people. It paid for me groceries and fuel, but no wages hardly. Growing up as one of four children on the family farm not only gave Roly his strong work ethic, but plenty of happy memories. He rode horses to school with his siblings and helped his parents and grandparents deliver produce grown on their farms by horse and cart. He remembers fondly the day he got his driver’s licence, many moons ago. “I used to go to school in Pomona, which was 10 miles away. At first I used to double my sister Margery in on a pushbike. After the war, Des and me other brother Geoffrey and I bought an ex-Army motorbike and we used to ride that in. That was well before I could even get a licence. The policeman used to know us in Pomona there. We used to ride into town and park under the camphor laurel tree – he used to know whose bike it was. “When I went to get me driver’s licence – we had a Ford ute in those days – I drove in by myself, parked near the police station, walked up the steps and the policeman said, ‘what do you want?’. I said, ‘I want me driver’s licence please’. He fills the papers out, hands them to me and I walk down the steps. He never even bothered to get out of the chair. As a man of faith, Roly was involved with Teen Missions International Australia for many years and took numerous trips to the US. He met his American wife Linda through the organisation and they married when he was 58. Sadly, they were married only 10 years before cancer took her life. The couple never had children and with Margery and Geoffrey also having passed on, it’s just Des and Roly left to keep each other company on the farm. But there’s no time to feel sorry for himself. While the home delivery business that made him into somewhat of a local legend is no more, Roly isn’t exactly retiring – he and Des still work seven days a week looking after their cows and bees, only taking a day off if it rains. “My plan is you’re going to have to carry me away in a box off the farm,” he says. “We’ve been here all our lives. I’ve never missed a day’s work with sickness. I don’t ever remember being sick and I’ve never had a headache. I never go to the doctor, never have a check-up, though I know I should for me licence.